FIU is headed to St. Petersburg, Florida. 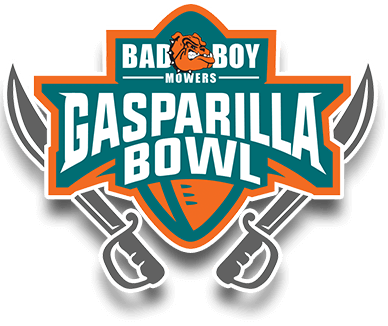 Bowl officials announced that the FIU Panthers will play in the Bad Boy Mowers Gasparilla Bowl versus the Temple Owls in St. Petersburg, Florida, on Thursday, Dec. 21. Kickoff is scheduled for 8 p.m.
All members of the FIU family are being urged to purchase their bowl tickets through FIU Athletics. Ordering tickets through FIU Athletics ensures that you will sit and enjoy the game alongside other FIU fans, friends and family in FIU’s designated sections. While tickets can be purchased through other methods, it benefits you and FIU to purchase tickets directly through the FIU Athletics Ticket Office. Please visit FIUSports.com Bowl Game Central for up-to-the-minute information, including ticket prices and information about attending the game. For more information, please call (305) FIU-GAME. I went to the game vs UMass on saturday because we were promised free tickets for the bowl game but we have not heard anything. Help us! Hi, Sebaaymat! FIU Athletics will be contacting students who attended Saturday’s game in the next day or two and will provide further instructions. Students who attended the UMass game will be able to pick up their ticket at will call at Tropicana Field on the day of the game with their FIU OneCard. If you have any questions, feel free to contact FIU Athletics at 305-FIU-GAME.